Firstly, thank-you to Pair-A-Dyce, Rediculus from Knowledge Giving Birth Productions, and of course our boy Tricksta from Park Street PR for hooking us all up in the first place. Alright, so I don’t usually use the word ‘crossover’ much. I mean, yes I have alluded to records or artists having crossover status before, and I have basically called an artist every other word but that, whilst still pretty much meaning it. However, I try my best to not to use it too much, or at least dress it up in flowery sentences, just so I don’t run the risk of overusing it. Otherwise, pretty soon the word would lose all meaning, and my huge fan base may abandon me for greener pastures. On this occasion however, I’m going to use the word crossover, because that’s the first word that came to mine when I finished listening to Pair-A-Dyce’s new record ‘The Chronicles Of Dyce’. If you’re a backpacker with giant headphones, and still in denial over the fact that the 90’s and early 2000’s have ended, then you’ll enjoy this. In the same way, if you’re a bit of a dummy, and think nursery rhymes make perfectly acceptable rap songs, then you’ll enjoy this too. How so I hear you ask? Well, let me explain. For all of us in between, to the side, or on a completely different tip, you’ll like this if you’re a fan of hip-hop that still retains its DIY style, yet has space for some really catchy hooks. Simply put, it’ a fun record. It’s fun enough for the aforementioned dummies to not immediately realise they’re being educated, well until they’ve discovered they’ve learnt 7 new words and it’s too late. 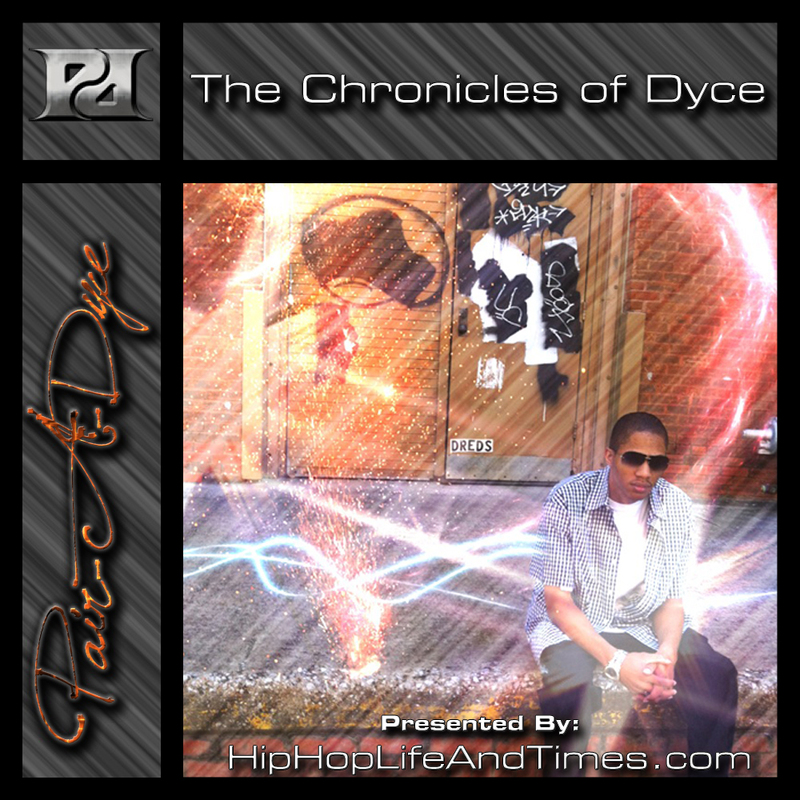 On the complete flipside, Pair-A-Dyce has the content and intelligence that will keep any real hip-hop fan happy too (that’s right, I said real, and what?). The more you listen to it, the more extra parts, or little tweaks in sound and style you hear. The production is handled by a group of different heads, Rediculus, Glasshouse Productions, Kayser9Soze, and Irish Moss. This of courses adds to the diversity of the record, and whilst some of the producers may be on the more ‘classic hip-hop’ side of things, the other half display more leftfield ideas and beats. I really enjoyed the different ideas and approaches that the 5 individual teams came up with. It gave the album an overall feel of variation and experimentation. Coming back to the rapper himself. Pair is a very good storyteller, and his very matter-of-fact style of subject analyse was a nice surprise. He managed to discuss, and touch upon some pretty heavy, and weighty subject matter with the same manner of some of his lighter songs-which I thought was pretty impressive. The energy of the record as a whole is very light (which is why it might appeal to the ones previously mentioned, that aren’t interested in actual words, rather just beats and melodies), and it might rake some listens through until you really think about some of the content he’s rapping about. In a way I think ‘Chronicles..’ could help take us back a few years, to when hip-hop on the mainstream radio was also the same as what was being played on the pirate stations too. I’m not saying he’s going to start a musical revolution tomorrow, but it’s poppy enough to appeal to a wider demographic, but smart enough not to sell out. I’d say that was a good line to leave it on, so I’ll say go cop this album. Not just because we’re the official British sponsors, or that Knowledge Giving Birth Productions is a rad company. No, because if it was bad, we wouldn’t be reviewing it or stamping our big ol’ name across the cover either. We stand behind everything we support, and this is no exception. 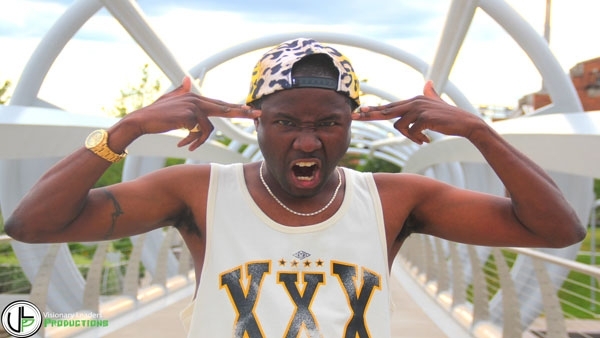 Check it out, T Lucas teams up with Acem of Gods’illa for his new single single “Art-O-fficial Intelligence” produced by Joe D. “Art-O-fficial Intelligence” can be found on T Lucas’ upcoming EP The T.E.S.T. The official music video for “Art-O-fficial Intelligence” is coming soon. 2013 so far has been a good year for Gee Bag who is back from taking a 6 year sabbatical from the Hip hop music scene. 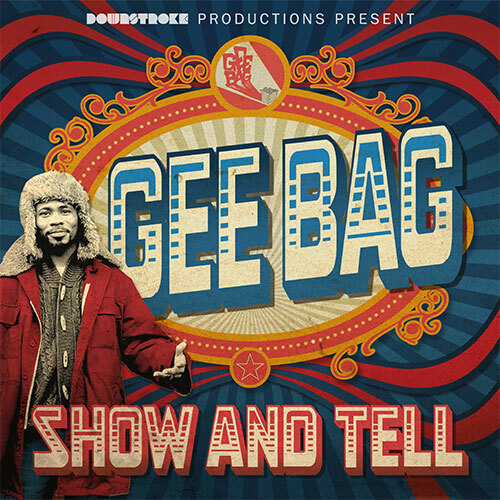 His previous album ‘No Worries’ in 2006 is considered by many as an underground classic and now living in Croydon, Gee Bag has been working hard playing live on the open mic circuit and getting ready to unleash his new project ‘Show & Tell’. “Lyrical Digest” is the first single and is produced by Yabba with Downstroke on the scratches and cuts and re-arrangement of the beat. Its a dope testament to Hip-Hop with a real Boom Bap feel but its Geebag’s lyrical’s that are to be digested here. This track is one of the best things we’ve heard this year and this single has seriously got me watching this artist. Pure Hip-Hop is back and we say so! A quick update from our friends over at Itch FM! We love Itch FM, over here at HHL&T; they’ve been supporters of real hip-hop (and us as well, thank-you!) for years longer to count. They need your help now! Read below to find out how you can support them. Click the image above to be taken to their site! It’s been just over a week since we launched this campaign and I have to say that we thought more people out there would have donated. Still, we are super greatul to those that have so far. I would have liked to have mention all of you, but there are some that wish to remain anonymous. For those that don’t want to stay incognito; thank you Mr. Dex, Dead Ott, Kiran, 4649 Worldwide, DJ Myme for your donations. You’ll all be updated to get access to the VIP Club and get notified when you perks get sent out to you. £270 has been raised so far and we still have 17 days to go. If you haven’t already, please contribute what you can, even if it’s just £10. As it all goes a long way to helping Itch FM get back on air for y’all. £25 – Get’s you a mention credit at the end of our Itch FM documentary, plus the above. £55 – Get’s you the limited edition Itch FM T-Shirt, plus all the above. £150 – Get’s you a special invite to the Itch FM HQ, plus all the above. If you haven’t checked out our video about this, check it out below all the way through. It will automagically redirect you to the campaign page. One thing I’d like to mention on behalf of the entire Itch FM team, to all those of you that has supported this campaign to date, whether they’ve shared it via social media or blogged it on their websites (more on tha in a sec), we just like to say a big thank you like this: “THANK YOU”! South West locals, Techtonic Plates and Tough Touch team up for their latest video ‘Winding Down’. As always, a solid gold track from these dudes, obviously. Beacon like Brecon!